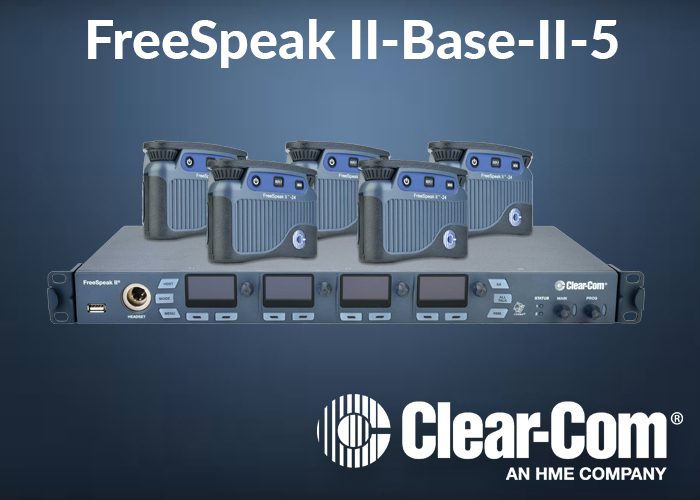 The FreeSpeak II-Base-II-5 is a standalone wireless system that can connect up to 5 full-duplex beltpacks. Up to 10 active transceiver antennas can enable beltpack-to-base staion distance range up to 3,200ft (1,000m). The system has 4-wire and partyline intercom connectivity, program feed input, stage announce, IFB, up to 5 wireless partyline groups and partyline call alert functionality. The base station can intelligently mix 1.9GHz and 2.4GHz system components, such as wireless beltpacks and transceiver antennas on the same system.